Brian Doyle (1957-2017) was the longtime editor of the University of Portland's award-winning Portland Magazine. His essays appeared in iHarper's, The Atlantic Monthly, U.S. Catholic, First Things, Christian Century, America, and The American Scholar. He was the author of two Liturgical Press books, A Shimmer of Something: Lean Stories of Spiritual Substance and The Kind of Brave You Wanted to Be: Prose Prayers and Cheerful Chants against the Dark as well as a contributor to Give Us This Day. 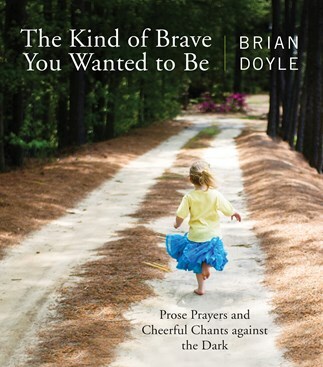 Brian Doyle focuses on daily life experiences, allowing familiar stories and ordinary encounters to emerge as genuinely humorous and sad, noble and emotionally rewarding! The poems tug the heart both through story and the simplicity of superb writing. The Kind of Brave You Wanted to Be is fresh and thoroughly engaging. An entrancing poetry fest! Brian Doyle is a genius at unveiling the sacramentality of popsicles, rebounds, cedar needles, four year olds, the snap of a baseball bat, scuffling in leaves, owl feathers, attentive doctors, a pint, the chinook, old confessionals, storytelling cops, ratty jerseys. He helps us appreciate the sheer grace and blessing of our own momentous minutiae.